Summer is the season for going out on treks and adventure camps. 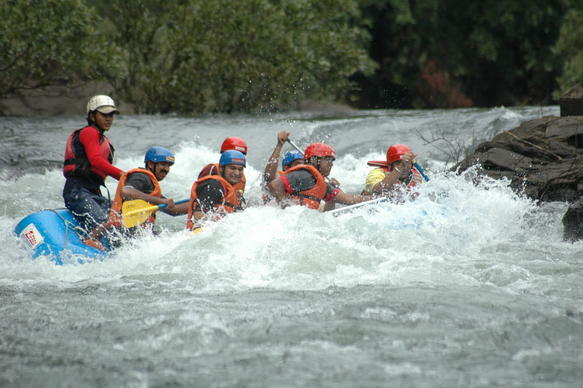 For the Manipal Student, there are many such places around, that can qualify for adventure camps. One such place is around 30 clicks from Manipal town called Hebri. 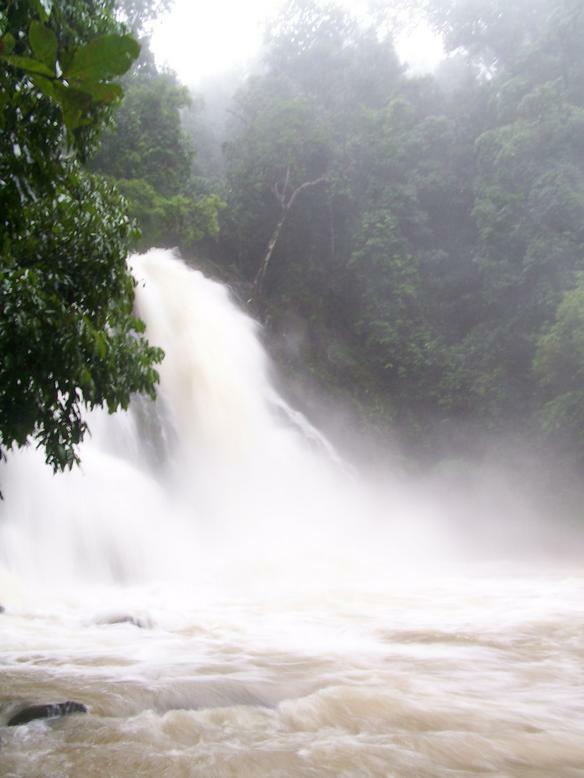 A magnificent waterfall – the water flow is much reduced during the summer though…. Location: The Someshwara wild life sanctuary is located around 4 kilometers from Hebri town and about 30 kilometers from Manipal. The campsite has a lot of dorms, quite a few platform tents, and there is a farm house within 15 min walking distance. You can book the farmhouse for your night stay. The campsite also has some small nature walk trails with mild river streams crossing the trails. White water rafting is an unbelievable experience. In order to promote eco-tourism, Jungle Lodges and Resorts, a State Government undertaking, in association with the Forest Department, is promoting adventure activities at the Seeta Nadi. If you trying it for the first time, don’t worry, expert personnel are there to guide you. Rafting is a team effort and it is important to act in tandem with fellow rafters as you navigate through the powerful rapids. When there is more pressure on the left side of the raft, the team members have to move to the right and vice versa. The instructor tells you on which side you should shift to maintain balance and whether you should row backwards or forwards. Safety is paramount so you cannot get on the raft without wearing a life jacket and a helmet. Besides the unbeatable thrill of feeling the force of nature, you can also enjoy its calmer side as you travel through evergreen forests. For birdwatchers, the trip is a must as they can spot several species of rare birds. River rafting at Sitanadi Nisarga Dhama offers two choices — one from Nisarga Dhama to Belinje Bridge (14 km) and the other from the Nisarga Dhama to Jomlu Tirtha (22 km). River rafting in the Varahi also has two choices — from Hosangady to New Bridge (24 km) and from Hosangady to Hole Shankarnarayana (18 km). White-water rafting is on at Anejari Nisarga Dhama near Kollur throughout the year. While you’re at it, you can chill out for a few days in the log huts at the Sitanadi Nisarga Dhama. There are many KSRTC buses from Bangalore to Udupi and Hebri. The closest railway station is Udupi and from there you could take the local bus to Hebri (most buses that go to Shimoga pass through Hebri). From Hebri, you could walk the 4 kms or take an autorickshaw to the forest entrance (also called Sitanadi Nature Camp). .
Alternatively, if you are a big group (4-8)To reach the Sitanadi Nisarga Dhama, take a taxi from Manipal to the Sita Nadi Nisarga Dhama about 35 kms.